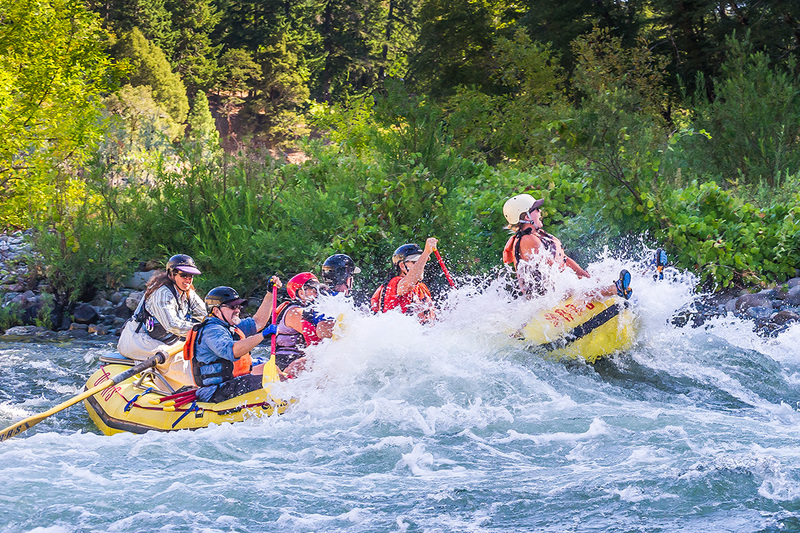 Everyone can go rafting. You can bring the kids, the grandparents, or whoever. The hardest part is actually convincing people who have never gone before — newbies. They might have all sorts of hang-ups, so here’s some ammo to help you persuade them to go. Creature Comforts: If someone says they’re not outdoorsy, then a river trip is for them. No other activity can bring someone unaccustomed to the wilderness into more remote terrain with better luxuries than a river trip. Explain how they’ll have a bathroom with a view, a bed within earshot of a dream-sound machine, and a sense of accomplished satisfaction when they sleep. 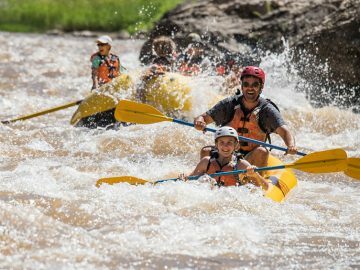 River trips are the best way for newbies to experience the wilderness. The Unknown: If you have done the trip before, tell them about the rapids, the fishing, the hikes, etcetera. If you haven’t, tell them about the outfitter and why you chose them. Nothing puts folks more at ease than knowing what to expect. 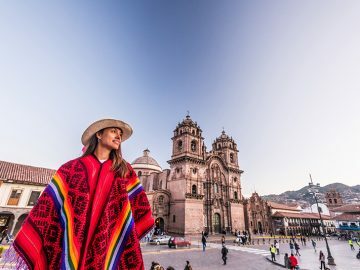 Money: The entry price for a guided trip can seem steep, but have them consider this: A guided rafting trip, for a flat cost, is essentially an all-expense paid vacation. 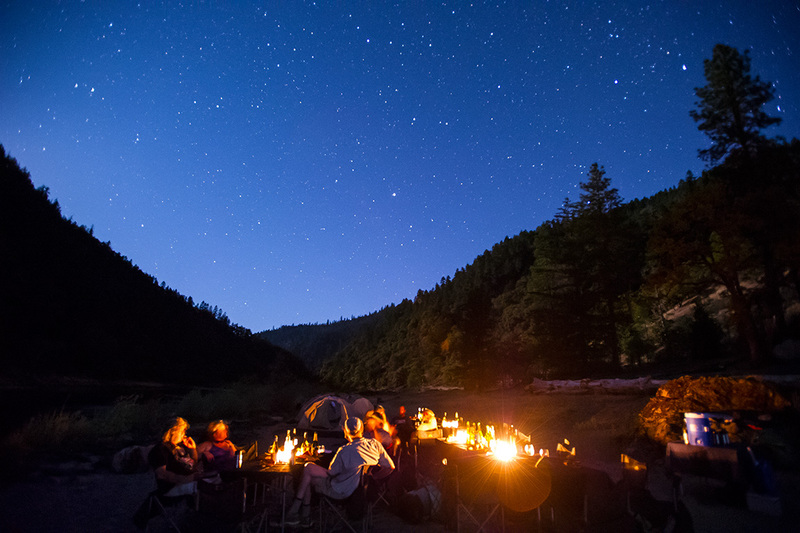 Gourmet meals beneath the stars, fun-filled days of rapids, side hikes, and hanging out with friends are all included in the price. Whitewater Woes: When it’s the rafting part of the rafting trip they’re hesitant about, try to appeal to their sense of adventure (it’s looming somewhere inside of them). 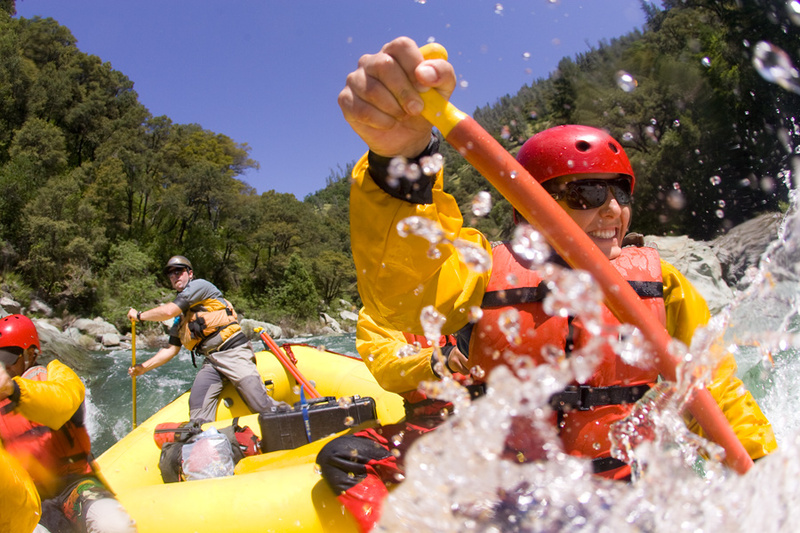 Explain the rating of the rapids, and what they’re getting into, but then make sure to describe the feeling of excitement you get when you grip the paddle and dig into some sweet whitewater. Not to mention, how good it feels to step outside of your comfort zone every once in a while. And when all else fails, mention that even grandmas go rafting. Going Unplugged: Not everyone sees this as one of the perks of a river trip. For those who worry about missing something big or important if they go unplugged for a few days, tell them that they’ve been looking a little stressed lately and it’s time for a tech detox. Then have them imagine themselves soaking up sun and scenery in one of the most beautiful locations they’ve ever seen, lounging on huge sandy beaches, and for the first time in a long time, just relaxing with no other cares in the world. And contrary to popular belief, emails from their boss can wait. Whoever you’re convincing, think about their temperament and find a river to match it. If your friend drinks Red Bull, choose a whitewater trip. If they like to fish, flat water may suit them. Or if they’ve been cooped-up inside for too long, choose a river with fantastic scenery. 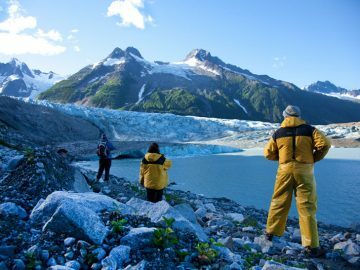 Nothing spawns more river advocates than incredible first trips. Tim Gibbins lives and writes in Portland, Oregon. His articles have appeared in Outside magazine, The Oregonian, Montana Outdoors, and he has worked as a naturalist in Denali National Park.